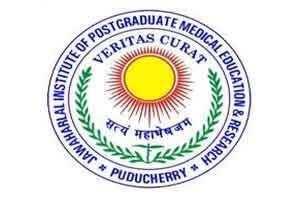 The Jawaharlal Institute of Postgraduate Medical Education and Research (JIPMER) has invited the candidates for the 92 post of Senior Resident and Senior research fellow in various departments. There is a walk in Interview. For the post of senior residents interested candidates can appear on 7th and 8th April at 8:30 A.M and for the post of Senior research fellow candidates can send their application in a stated format on or before 20th March 2016. The upper age limit of the candidates must not exceed 33 years for Post Graduation qualification and 35 years for Post Doctoral degree holder (DM/M.Ch). Age relaxation will be applicable up to five years for SC/ST candidates, three years for OBC candidates and 10 years for PWD candidates. The upper age limit of the candidates must not exceed 33 years as on March 22. Age relaxation is applicable up to five years for SC, ST, OBC, PH, and women candidates. The eligible candidates can appear for interview, with proper application, on the said date and time as per notification. The candidates have to send a soft copy of the application to drsoundravallyjipmer@gmail.com, and a hard copy of the application to ‘Dr. R. Soundravally, Principal Investigator, DBT Research Project, Department of Biochemistry, JIPMER Academic Centre, JIPMER, Puducherry – 605 006’.